“If you think you’re so enlightened, go spend a week with your family”. 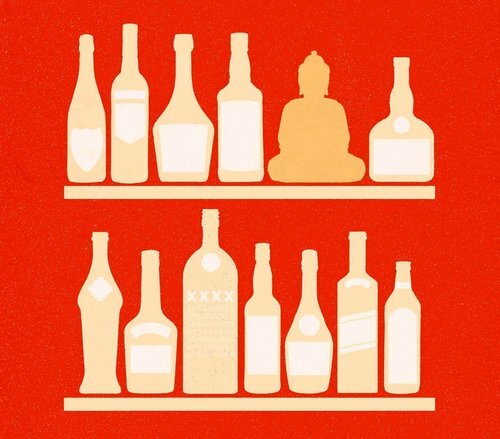 How enlightened do you feel following the festive season? It was Ram Dass who famously said, “If you think you’re so enlightened, go spend a week with your family.” For those of us who may have spent the year meditating, eating right, going to yoga classes and slurping smoothies we may think this is our year — the year we finally nail the whole compassionate response to our crazy family thing.Unlike your chosen spiritual community, your book club, or your friends, you don’t get to pick which of the company you keep in your family. You’re born into it and it’s yours until the moment you die. Some of us couldn’t imagine not speaking with our family every week while others are far removed from engaging them. It’s up to each of us the extent to which we want to interact with our family, and how we define it, but it’s a microcosm of society we can’t really avoid participating in, one way or another. Particularly as adults, we may visit family and think we have a new lease on life, a new understanding of the nature of the universe and what makes things tick. We are ready to be the new, evolved version of ourselves for our family. What happens then? The moment we walk in the door we fall into the same patterns we were raised with, and ten minutes in are complaining that we don’t want to take out the trash in the same tone we did when we were surly teenagers. This is the basic rule of what us Buddhists call karma: we have strongly engrained habitual ways of considering ourself, our loved ones, and the world around us, and these ideas propel us to do the same sort of thing over and over again, unless we cut through that particular pattern. In the long-term Buddhist logic we have been playing out the same patterns of passion, aggression and ignorance with various versions of our families for lifetimes. That said, you don’t need to believe in multiple lifetimes to know that when you’re complaining like a teenager to your dad, it’s because you used to complain like a teenager to your dad. We all have our own deeply ingrained patterns with our families. It’s the default setting for how we relate to each other, who holds what role, and how we express love to one another. There’s specific dynamics between parents and children, siblings, cousins, all of it. And, if we’re not careful, we will continue to reify these patterns and dynamics out of sheer laziness. Many families carry a “This has worked for us thus far; no one has killed each other” mindset and don’t really want to budge from business as usual. However, if you are sick of relating to your (negative, not-so-helpful) family patterns in the same old way, I invite you to recall the advice offered by one of my teachers: “Everything is predetermined…until now.” The next time you hop on the phone with a family member or see them in-person for the holidays, you have a unique opportunity to change the flow of business as usual. You can show up for them, embodying mindfulness by deeply listening and becoming gently inquisitive with their experience, in an attempt to unearth a deeper layer of conversation than what you normally get to experience together. You can hold space for them to talk about what’s ultimately on their mind, without offering advice or judgment, and show your compassionate heart. If you’re stuck, quite frankly, just go somewhere new and try something different with them — eat a new food, go for a walk, anything that you have never done together before. There are a million ways to shift our family dynamics into new territory but we have to rouse ourselves out of our habitual mindset to do it. When we show up for our family members in this way, we are entering uncertain territory and it can sometimes be scary. You have an idea of who this person is, based on your many years together. By changing the dynamic of your relationship you are wading into the landscape of asking, “Is that so?” Is this person you consider to be stubborn, or artistic, or successful actually that way? By showing up with mindfulness and compassion for your family member you are, in essence, dropping your pre-conceived idea of who you think they are and opening to who they truly are. In this way we are connecting with their basic goodness. We are seeing them for their innate wakefulness, kindness, strength and wisdom, as opposed to boxing them in with ideas about who they should see romantically or do for work. The more we connect with their basic goodness, the more abundant we both feel. The knotted up negative patterns we have come to rely on for years slowly begin to unravel and we are left with the opportunity to get to know each other fresh. Even if we do not get to see our family often we can reach out to them in ways that feel meaningful and continue to emphasize showing, as opposed to telling about, our experience of mindfulness and our basic goodness. By learning to start fresh, over and over again in coming back to the breath in our meditation practice, we are training to start fresh and drop our pre-conceived ideas of our friends, our family, and all of our loved ones, so we can continue to plum the depths of our shared humanity and goodness.